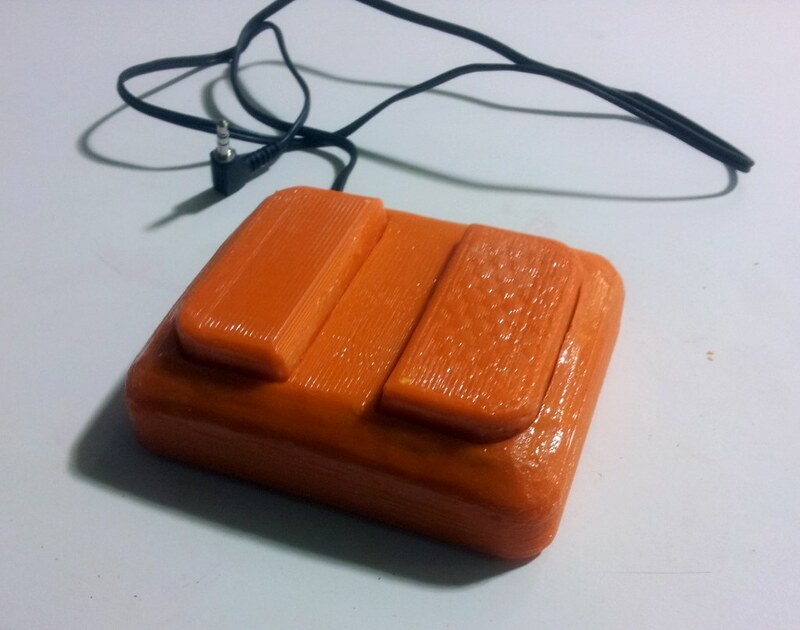 I printed the first prototype accessory switch and assembled it recently. This one is for table tennis. The idea is to mount one under each side of the ping pong table, plug them into the accessory ports on the scoreboard, and be able to whack the buttons when you score to keep track of the game without losing focus or interrupting play. The design is very simple, the prototype works well, and I have a model that I can now take to factories and show off to people. Production of this unit should be a LOT easier than the scoreboard itself, and it can easily be replicated and modified by anyone else who wants to make custom accessory switches for their scoreboard. This can be mounted under a ping pong table and used to keep track of the game. For details about the construction and design, see the wiki page on the buttons.